We have a couple of great freebies for you today for Manic Monday. 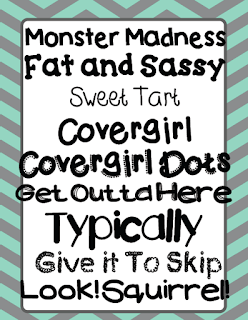 I have been trying to work on heavier fonts for cover pages for my "Super Cute Fonts" packet! 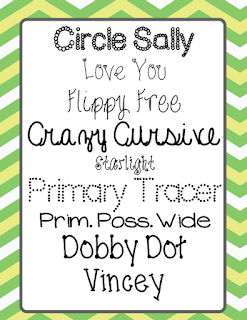 I am leaving my fonts pack that includes over 50 fonts priced at $3.00 until Thursday and then I will be increasing the price for the new "add-ons"! Purchase it now so you can get future updates for the $3.00 price! 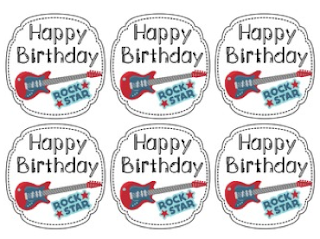 Stephanie has a new "Rock Star" classroom theme set up in her store. Here is a freebie Birthday Pencil Topper and Certificate Set that she has in a matching theme! Click on the picture below to go pick it up! Isn't making fonts so much fun?! Those are great, and I may have snag them up! Great fonts! Love the free one! Thanks for sharing at manic Monday! 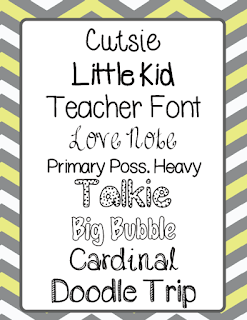 such cute fonts! 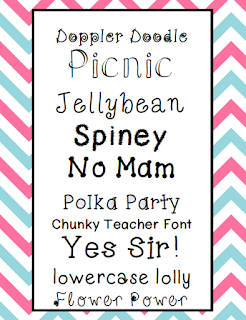 I have just begun my Blog and TpT Store, and I always see such fun fonts! How do you make them? Is it difficult? I would love to ask you some questions! !